Is your current mouse becoming too much of a pain, literally? Consider a vertical mouse instead. The vertical mouse is actually a relatively new form factor, invented by Jack Lo only in 1994 after his own dissatisfaction with the traditional mouse design that resulted in constant discomfort. Since then, this patented “handshake” design has been validated by countless users who suffer from hand and wrist pain, and whom have found great relief after switching over to this form factor. 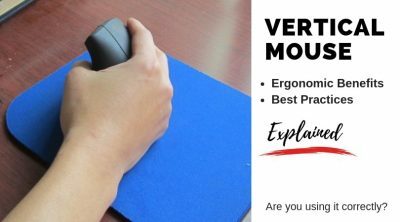 So just what are the main benefits of using a vertical mouse, and just as importantly, what is the proper way to hold and maneuver one? Let’s find out the answer to both of these questions now. 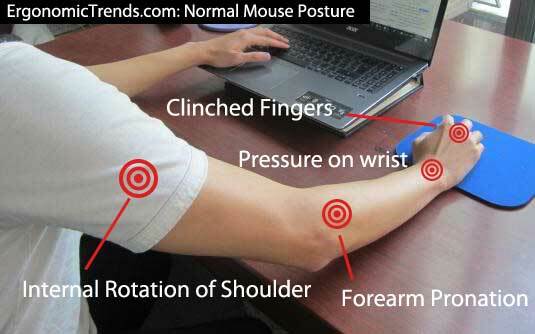 To understand the logic behind the aggressive sloping found on any vertical mouse, try resting your arm and hand on your desk now. When you do that, the chances are, your hand is rested at a 60 – 80 degree angle relative to the surface of your desk, instead of facing flat down. There is no pronation of the forearm, and your shoulders are naturally rotated externally. Called the handshake position, this is the neutral position for most people’s arm and hand at rest, which unsurprisingly is also the most comfortable at rest. Vertical Mouse Posture- Much Better! A vertical mouse is ergonomically shaped to help the user maintain that handshake design while operating it. 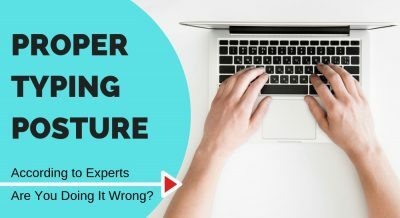 Instead of twisting your wrist so it’s parallel to the desk to operate a regular mouse, there is little to no twisting of the wrist required to grasp a vertical mouse. 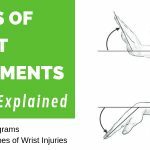 Any twisting of the wrist over a prolonged time is bad, as it compresses the median nerve that runs inside the corridor between the forearm and hand, called the carpal tunnel. Some people go on to develop carpal tunnel syndrome as a result, marked by debilitating pain, tingling, and numbness in the fingers and arms as the median nerve becomes agitated or damaged. Keeps the forearm and wrist at a neutral rest position, which minimizes muscle use. 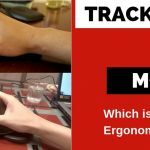 Avoids forearm and wrist pronation (rotating of the wrist counterclockwise) that compresses the median nerve and can lead to carpal tunnel syndrome. Keeps the bulk of the underside of your wrist off the desk, further reducing pressure in that area. 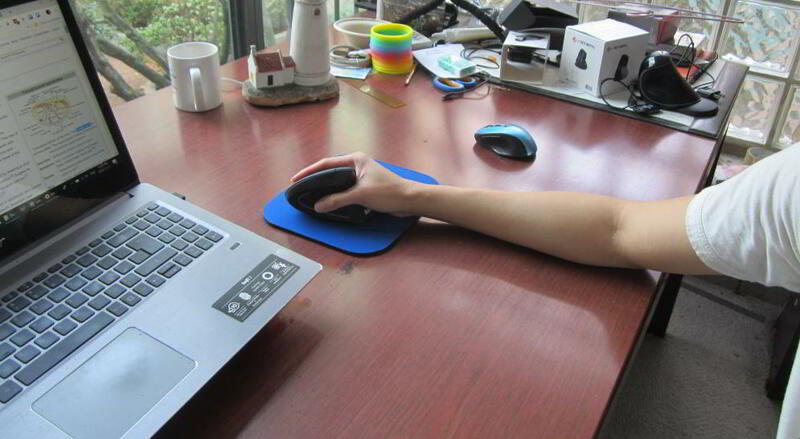 Handshake position lets you operate the mouse with your forearm instead of wrist if you choose. Great for people with existing carpal tunnel syndrome or wrist strains. As you can see, a good vertical mouse can not only help in the prevention of CTS, Tendinitis and certain musculoskeletal diseases, but can also enables people who already suffer from these conditions to continue using a mouse without exasperating their condition. This may sound like a silly question, but how do you actually use a vertical mouse? Believe it or not, when I was first introduced to a one, well, I didn’t know quite how to operate it. And apparently I wasn’t the only one. The question isn’t so much how to hold it, which is intuitive enough, but the best way to maneuver the mouse around to control the cursor. The answer isn’t quite as clear cut as you’d think, as many things ergonomics aren’t I’ve discovered. Make sure all of your fingers are relaxed on the mouse, including your thumb. Rest the weight of your hand on the side of your pinky finger and hand. There should be little pressure or even contact on the soft, underside of your wrist. Here comes the so called “tricky” part. 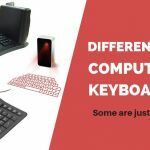 As far as how to best maneuver a vertical mouse, there is a lot of conflicting information online. 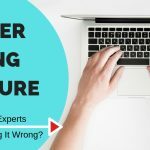 For the first few weeks with my vertical mouse, I was moving my entire arm around to move the mouse based on the very little information I’ve found online on best practices. The devils are in the details, and lifting my entire arm just wasn’t sustainable for a long time, as it tired out my arm very quickly. Keeps your wrist completely still at all times, protecting the median nerve fully. Requires a large working surface that can accommodate your entire forearm. 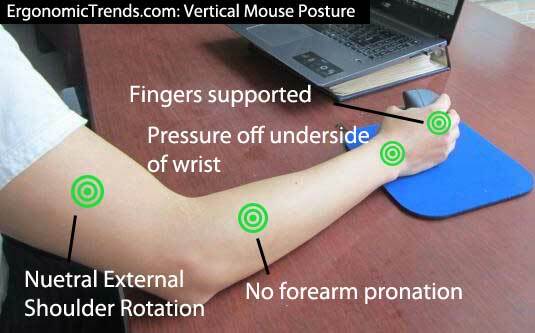 Your wrist and median nerve aren’t completely protected (as you’re pivoting from the wrist), though it’s still a big improvement over operating a regular mouse where you pronate your forearm at the same time. In theory, while using method #1 at all times is ideal, it just isn’t feasible for a long time for some people (ie: yours truly), or when you’re working in a narrow space. For me, I’ve found alternating between the two methods works best for me. My wrist is still comfortable, and my arms don’t become strained from pivoting from the elbow for a prolonged period of time. So what’s the verdict on the best way to use a vertical mouse? My philosophy on ergonomics is that they are just guidelines, not hard rules that should be followed to the letter. Good ergonomics always involves some degree of personalization to find what works best for you. I advise taking the same approach when settling on how best to operate your vertical mouse. So how has your experience with a vertical mouse been? If you suffer from any type of arm or hand strain, do you find this form factor superior to a regular mouse? And finally, how do you actually operate your vertical mouse? Please share in the comments below! This is very helpful, George. I am getting frustrated using my vertical mouse. It helps with my CTS pain, but my speed right now is very slow. I have a smaller desk, so my elbow is in the air when holding the mouse. I was trying to work it with pivoting the elbow, trying to avoid using the wrist. But I believe with nothing under to support the elbow I need to try rotating with the wrist and see how it goes. Thanks for the recommendation. I recommend going for a trackball mouse instead, as it puts less pressure on the fingers and can be used in different ways to relieve the pain. I tried using a vertical mouse, but it still gave me wrist pains. Just my two cents. Bookmarking this for future use. I just ordered my first ever vertical mouse, the J-Tech V 628. Looking at my worsening CTS, my doctor gave me an ultimatum that I need to make these changes in my life. I’m a little unsure about how the mouse will work. I hope this helps. Cheers! Thanks for this. I was scared of investing in a vertical mouse never having used one, and it does seem weird at first. Looking at the details, I noticed that my desk is comparatively small so my elbow is in the air over the edge. I think method 2 would work better for me. I really hope that this helps with my fingers which hurt from all the clinching on a standard mouse. Spending much time on the laptop each day is, unfortunately, a necessary thing for me these days. My desk is small and does not allow much room for ergonomics. Especially in regards to a mouse. It does not take long before my wrist starts to ache, then, incredibly, my muscles behind my right shoulder starts to ache. Your explanation of the benefits using a vertical mouse is certainly something for me to consider, as I am not getting any younger! I particularly liked your question “Are you using it correctly?” This question makes me think about how I should be using anything correctly. I mainly just control my vertical mouse with my wrist. I know it’s not as “ergonomic” per say as using my arms, but it’s the only way for me to make those finer maneuvers. Plus since my wrist is tilted 45 degrees and off the desk, I think it’s already much better than doing the same motion with a regular mouse, especially for carpal tunnel. Thanks for the tips though. Finally some good information on how to actually use a vertical mouse! I was moving around it using my entire arm as well and getting very frustrated. The bit about pivoting from the elbow was an eureka moment for me. I’m surprised no one else talks about this online. Thanks again. You’re welcome! I was surprised myself at the lack of information on using a vertical mouse when I first started purchased one. 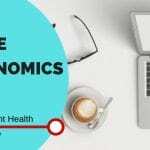 And using an ergonomic product properly is key to getting the proper benefits instead of the other way around.